Some stuff seems to do good. And THEN we find out. It’s all a bit more complicated. Modern medicines have transformed our lives. Protecting us from all sorts of pain and illness. BUT have created new problems. Over use of antibiotics have caused super germs. And killed off the good bugs in our guts. Which may be behind the increase in allergies. And painkillers – we now understand, too well – can be tragically addictive. So it makes sense to be cautious. And SAVE the power of medicine for when our families truly need it. It IS a different mindset. But to get us started. Let’s clear out all those unfinished antibiotics. And fusty cough and cold medicines. That are cluttering up the bathroom cupboard. 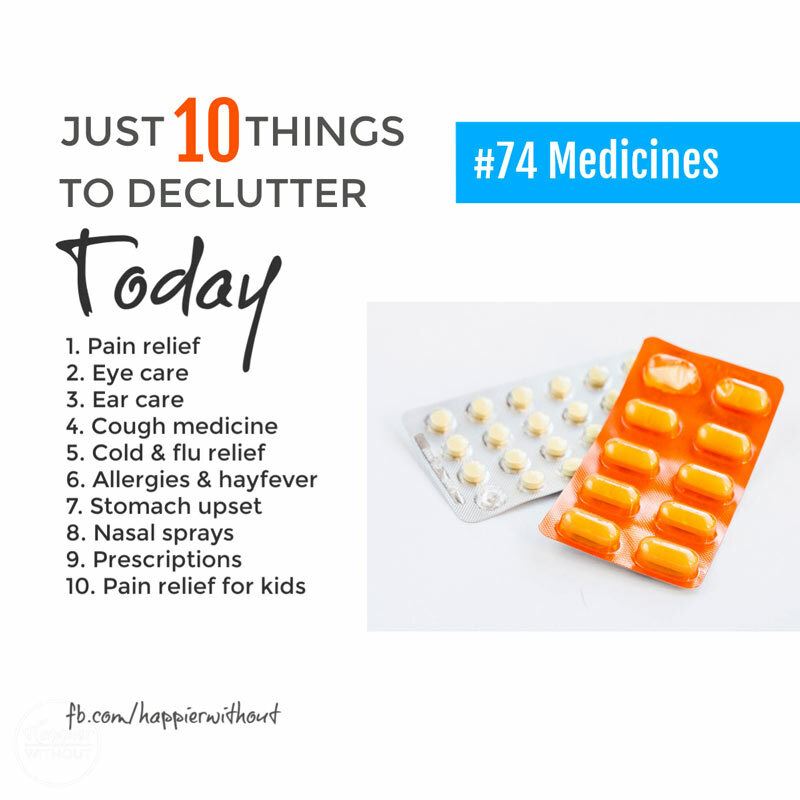 Take everything you’re letting go of along to your local pharmacist for them to dispose of responsibly. Don’t just chuck it in the trash. And next time someone’s a little bit ill.
See if you can manage without. Let mild fevers run their course. Rather than instantly reaching for pain relief. Use good old fashioned home remedies for basic coughs, colds and tummy upsets. AND when we do need medicine. Let’s buy ONLY what we need. Rather than handing over yet more of our hard earned money to the pharmaceutical companies.